October is Breast Cancer Awareness Month, and again we are reminded of our many mothers, sisters, and friends who have been impacted by this disease, as one of our dear bloggers, Sachiko, of Tea Rose Home recently shared her recent diagnosis on her BLOG. At one of her doctor visits, Sachiko was given a sweet little heart shaped pillow. 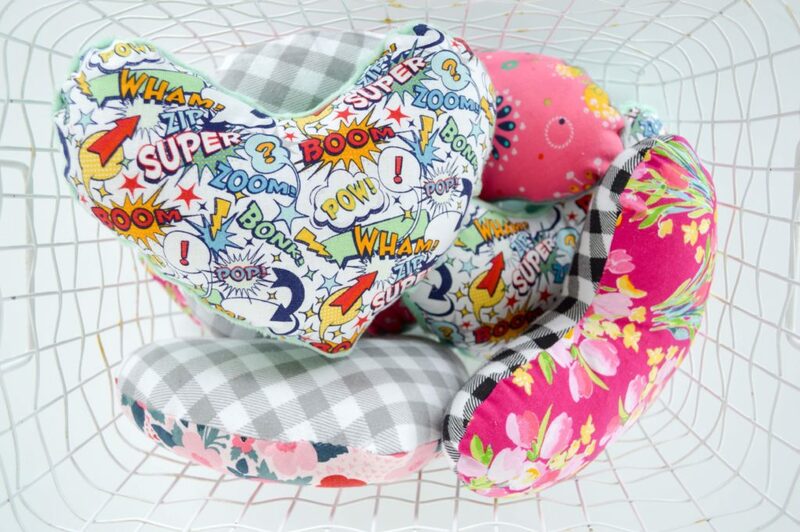 These pillows fit perfectly under the arm to provide a soft cushion which helps with post-surgery discomfort. 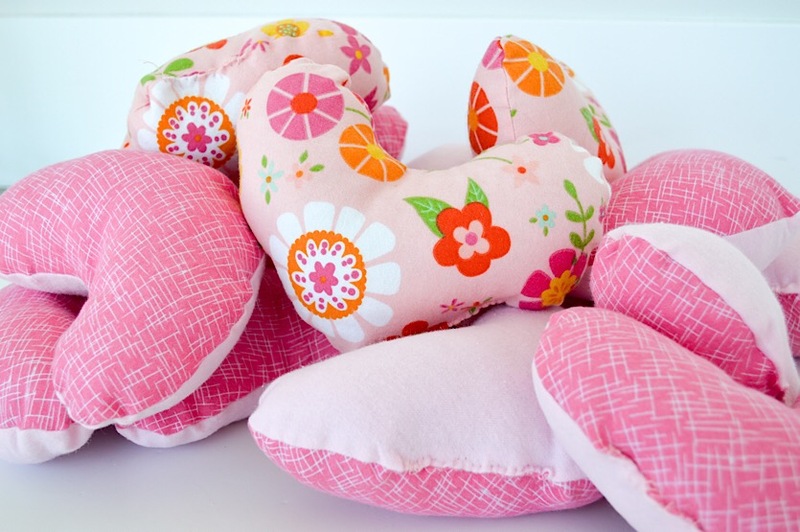 We made a batch of these pillows using the Heart Pillow Pattern drawn and shared by Sachiko. We used cotton for the pillow fronts, and used both flannel and Riley Blake Minky for the backs. Both are soft and easy to work with. 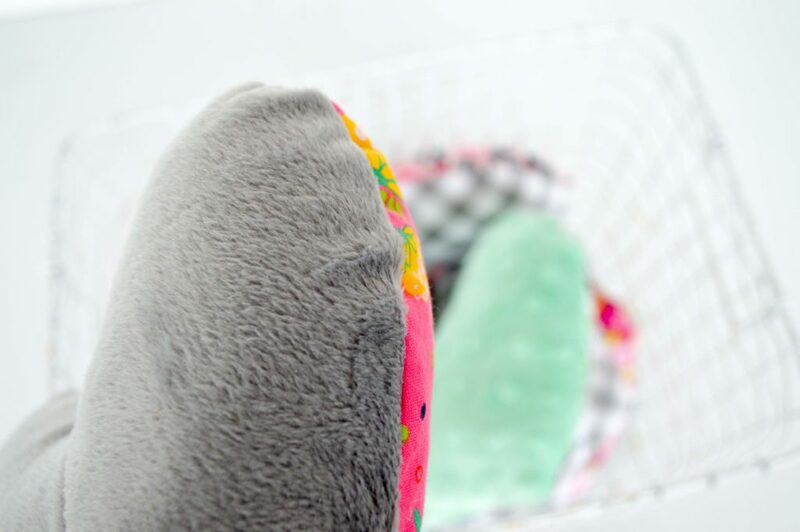 My favorite was the Minky because it was soooo soft and comfy. The Riley Blake Design offices will be sewing and donating these pillows throughout the month of October, and we challenge you to do the same! 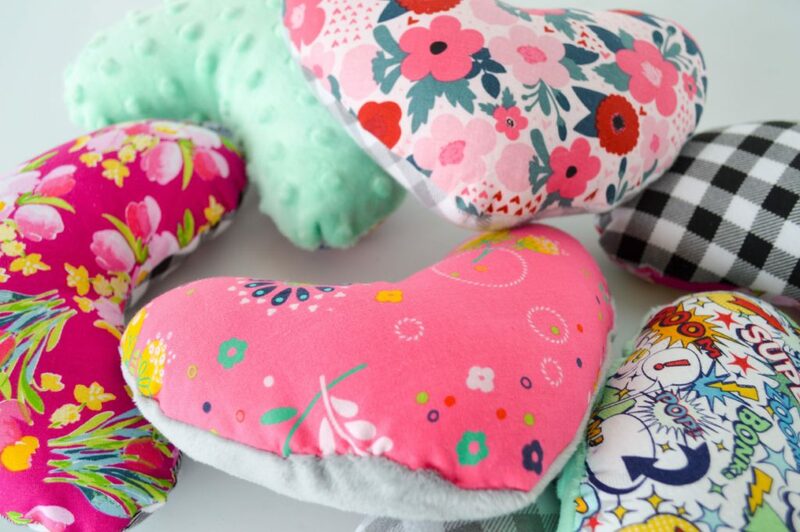 Get your friends together and make a batch of these adorable little comfort pillows. Let’s let our friends, sisters, and neighbors know we care by flooding your local doctor’s offices with these little symbols of our love! You can donate the pillows at your local breast cancer center, oncologist, radiologist, or surgeons that specialize in working with breast cancer patients. 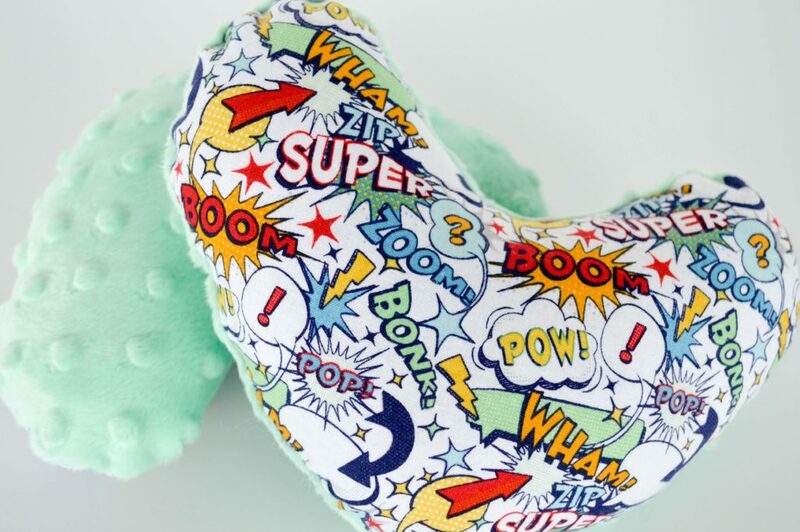 Share your pillows on Instagram using #rileyblakedesigns #fabricismyfun #iloverileyblake and let’s spread the word! Update: we were given this lovely bunch of pillows created by a sewing newbie! Aren’t they fabulous? Thank you for sharing the LOVE!